Living Off The Grid - how to do it and why? Living off the grid (OTG) is living in a self-sufficient manner without reliance on one or more public utilities: energy, water, waste management. It further comprises not relying on end-products that use these public utilities as well, like commercially produced food. Off-gridders, as they are called, often live far from major metropolitan areas where housing costs are significantly less and the pressure to work full-time to sustain a modern home and lifestyle is reduced. Here we’ll explore the basics of living off the grid – legality, existing communities, how it’s done, and why. OTG has met opposition from some state governments. Of course, people manage to live off the grid in spite of regulations, but legal repercussions are something to be considered when choosing this lifestyle. 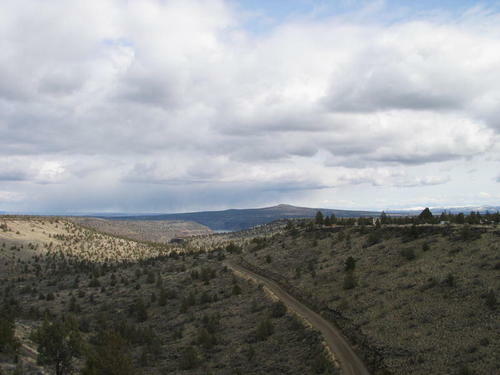 7 Best Places for living OTG in the U.S.
Breitenbush, Oregon – community of 60 permanent residents who use geothermal wells for heating. Emerald Earth in Mendocino County, CA – one communal house with a dozen residents on 189 acres. 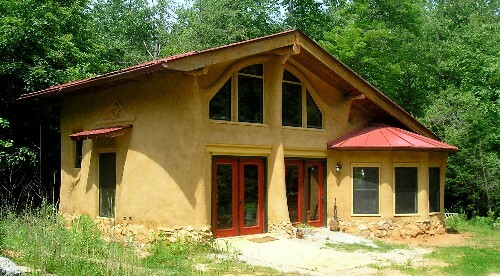 Dancing Rabbit Ecovillage in northeast Missouri – a community of 45 residents on 280 acres of land. The Greater World Community in Taos, NM – 75 Earthship homes on 634 acres of land. 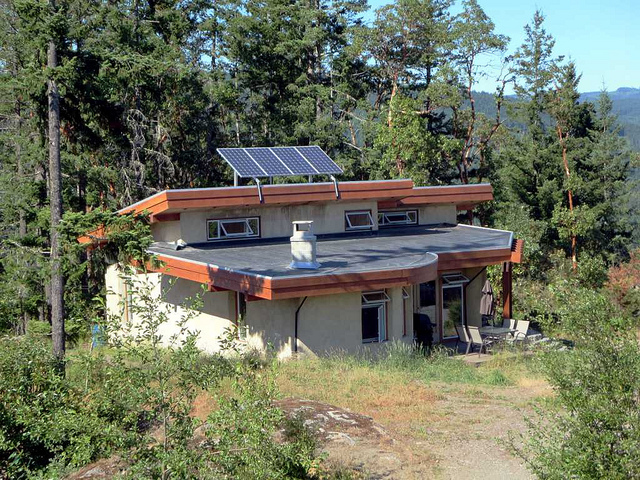 Earthship homes are made from sustainable materials, like adobe and recycled tires. Earthaven in North Carolina - 60 residents live in a village on 320 acres in the mountains of North Carolina in hydro- and solar-powered homes. How do people live off the grid? Solar energy captured through photovoltaic panels is a common solution to providing your own energy. A battery is used to store energy for use when the sun goes down. Many families rely on a generator in combination with solar power. Wind turbines may also provide a clean renewable source of energy. Some families use a propane tank to provide gas for cooking and other uses, although this does require reliance on an outside party install and refill the tank periodically. Alternative options include wood burning stoves and solar ovens. Private wells supply off-grid homes with their own water. Some homes also rely on rain water collection systems, especially in areas where there is not ample underground water. When natural resources are not sufficient, people may purchase infill water, however this does tie you to your supplier. Grey water systems that recycle lightly used water offer another way to maximize your resources. Living off the grid also means providing your own food - farming and, in some cases, raising animals. Preserving food at harvest times so that you will have enough throughout the year is another part of the process. Cellars help preserve food for long periods of time. 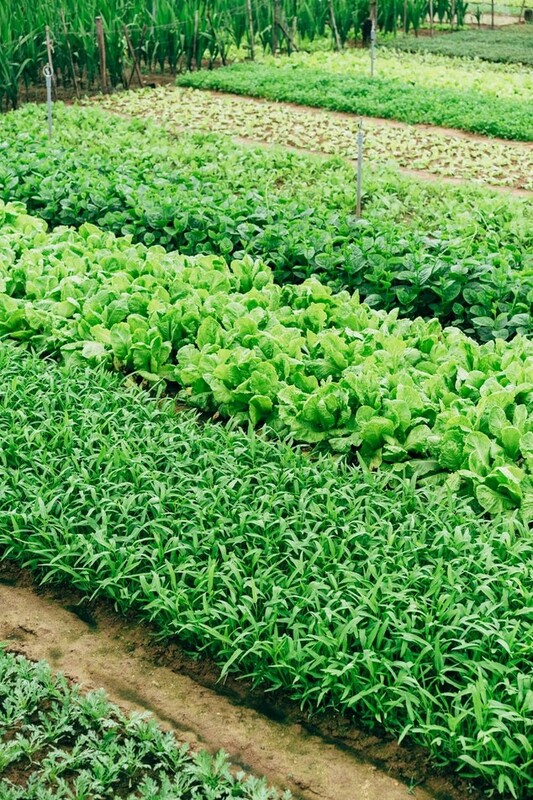 The tremendous effort needed to supply all your own food is one reason why many who live off the grid choose to live in communities that share rewards and work. Either a private septic system or a compositing toilet must be maintained for homes not connected to city sewers. Composting toilets decompose human waste using microorganisms. Sawdust or other carbon additives are added after each use to promote decomposition and reduce odor. No water is used in composting toilets. 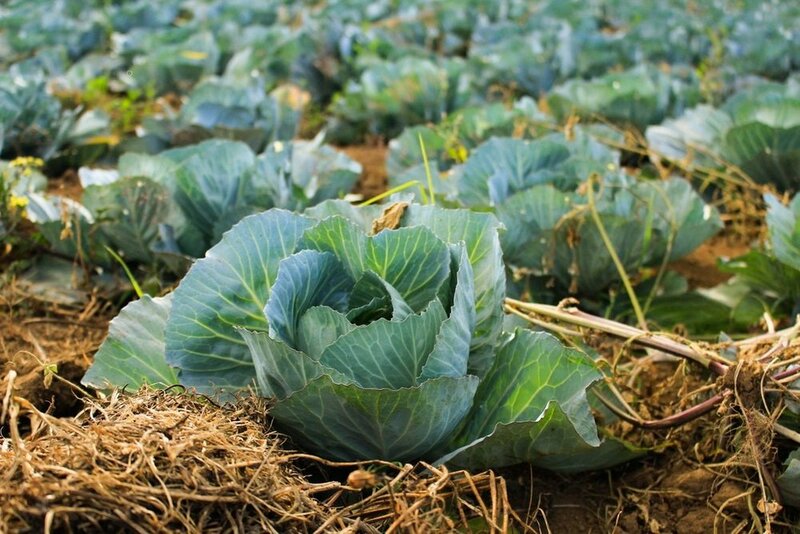 The resulting compost is often moved to a secondary composting step to further reduce pathogens, and can then be used to enrich soil. Financial independence from the government and a reduced environmental footprint are main drivers for people to go off the grid. Living off the grid also offers people the satisfaction of being self-sufficient and living on their own terms. Unconnected to public utilities, you are not affected by some urban disasters, like electricity blackouts and gas explosions. Carbon footprints are reduced because households must supply their own energy through solar panels and/or wind turbines. And fewer trips to town are necessary for households providing all their own food and necessities. Off-gridders are often seeking to get away from consumerist culture and enjoy the simple pleasures of life. Off-the-grid homes are usually more modest than modern homes for many reasons. It is difficult and expensive to build a home without reliance on public utilities, so building larger simply for the sake of having more space is not justified. Smaller homes have fewer energy demands and reducing consumerism and materialism go hand in hand with the off-grid movement. The cost to maintain a smaller home is less, and living in a location with low real estate prices may allow a homeowner to purchase or build with little to no reliance on a financial institution. Minimizing this great financial burden may allow off-gridders the freedom to not work full-time – a major component of complete independence. Media is an intermediary that disseminates information in the form of press, radio, television, or other means. With the development of media technology, information can be communicated in various ways and at different scales. Media Architecture refers to built structures that incorporate media -in any form- to facilitate communication with the public. It is an emerging field that continues to evolve as technology advances. Media Architecture Biennale (MAB) is a biannual conference exploring developing media architecture including façades, projection mapping, urban screens, and temporary spatial media installations. The event includes exhibitions, symposia, workshops and an award ceremony. "Money" and entertainment architecture: Projects illuminating buildings that are closely related to business, finance, retail, and entertainment. Animated architecture: Projects demonstrating creative media façade solutions. Infrastructure and participatory architecture: Interactive media projects that enable local community engagement. Spatial media art: Projects produced in an artistic context, mostly non-permanent movable installations with an innovative form of spatial interaction and/or perception of space. Future Trends and Prototypes: Cutting edge solutions like three-dimensional displays, kinetic façades, OLEDs (organic light-emitting diodes) or even robotic elements that define the future of media architecture. We’ll take a look at the first four categories. Building façades in this category are covered by LED advertisement boards. Images on building surfaces may be designed to attract people and advertise brands and products, or to represent the power of an institution, as in the case of banks for example. The original tricolor LED stock ticker display on the Morgan Stanley Headquarters in Times Square is one of the first iconic examples of media architecture. Originally installed in 1995, the success of this design can be attributed in part to the strong tie between the display content and the building program. It was recognized as one of the 40 greatest moments in Environmental Graphic Design. In 2015, two decades later, Morgan Stanley transformed and modernized their display with two 45-foot tall flat panels and two 60-foot barrels wrapping the building corners. Once again, Morgan Stanley has become the pinnacle of media architecture in Times Square. The Debate: Is this Media Architecture? According to the broadest definition, yes. These are indeed installations in which media displays are integrated into architectural structures. However, the extent to which these displays are actually coordinated with the overall design of the building can be argued. 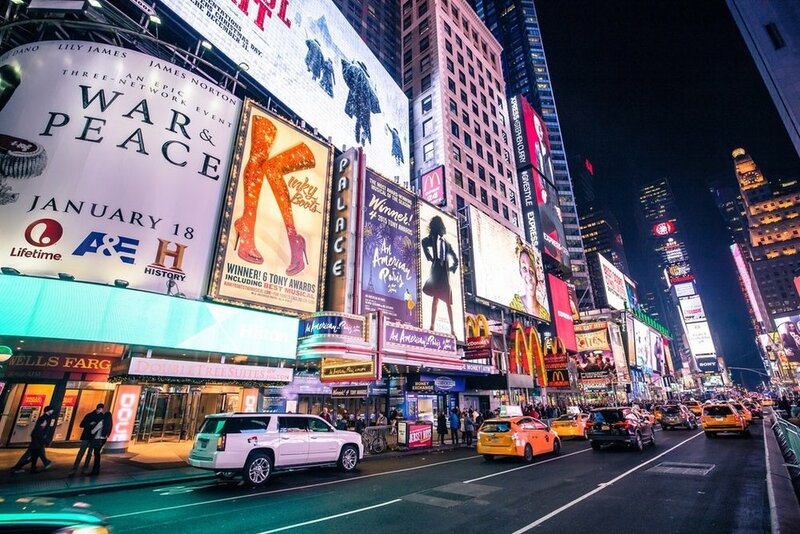 Critics have posited that displays that constitute mere advertisements overlaid over structures contribute little to the design concept and therefore should not be considered media architecture. The two sides define Media Architecture by different standards, but maybe we can make the difference clearer: In one category, there are media/building hybrids that animate the built environment and facilitate communication with the public. In a second category, an auxiliary function is added to a complete design. In Hamburg, Germany, digital media façade maker, Onlyglass installed the first large-scale prototype of their novel transparent glass display panels on Klubhaus St. Pauli, a center for music and entertainment. The façade includes RGB panels, high resolution media mesh, and high resolution displays. The panels are comprised of strips of carefully aligned LEDs sandwiched between two layers of insulating glass. The media layer is broken up by various functional programs (club balcony, rooftop patio, elevator). The use of glass allows a high degree of transparency from both the inside and outside of the building. The core visuals are a set of artistic animations designed to reinforce the building’s identity. Although advertisements are also displayed, comprehensive design requirements ensure high aesthetic quality and optimum representation of the digital content. The display also encourages an urban dialogue between the public and those with messages to convey. Several campaigns incorporating user-generated content have been featured. Building façades are increasingly animated by integrated light sources. Designers are focusing more and more on the visual perception of buildings. Projects in this category demonstrate creative media façade solutions. The flexibility of image/video display is based on an array of "pixels" (arrangement, pitch, shape, color rendering). The challenge lies in customizing creative "pixel" components. This project was an expansion of the museum's main building, a 1936 structure featuring classical elements and exemplifying conservative modernism of the time. The surrounding architecture is marked by gray and neutral masonry with striking horizontal patterns. Gray brick cladding helps the monolithic structure harmonize with its historic surrounds. Elongated bricks arranged in alternately projecting and receding rows cast striking shadows that emphasize the horizontality of the façade. Like the façade of the main building, the new building hints at classical architecture’s standard tripartite order of base, middle, and capital. This order is exhibited in varied shades of brickwork as well as a digital light frieze. The frieze itself is constructed of the same material as the rest of the façade. In the frieze, concave grooves have been cut from the bottom of each brick. When daylight passes over the frieze, it casts a shadow into the grooves, causing them to appear darker than the surrounding façade. LEDs are mounted into the flat profile of each of these grooves. When turned on, light fills the shadowed area, so that the brick’s appearance matches the rest of the façade. By turning on and off the LEDs, contrasting areas of shadow and light emerge that may be controlled to display patterns, images, and text. The bricks act as pixels within the horizontal band which wraps around the building. As daylight fades, the system works the opposite way: text and patterns are displayed by illuminating some bricks and leaving the surrounding bricks dark. Light sensors on the building’s exterior regulate the LED strength necessary to create a smooth transition between lit areas of the frieze and the surrounding façade. Infrastructure and Participatory Architecture refers to structures that support the development of sustainable social buildings. Neighborhood screens for sharing cars, tools, rooms, or offering local services like yoga and learning are just a few examples. Hybrid systems that combine digital and social components are extremely sought-after. In The Air, Tonight was a temporary media installation applied to the façade of Ryerson Image Arts Centre in Toronto in 2014. A programmable low-resolution media façade was animated every night by blue waves representing local wind speed and direction, and a red pulse triggered by the hashtag #homelessness on Twitter. This installation uses media architecture to dramatize an important conversation around the issue of homelessness. In another temporary installation, media company Moment Factory projected words captured from the public through a megaphone positioned in Montreal’s Promenade des Artistes onto a nearby building. When participants spoke into the megaphone, voice-recognition software transformed their voices in real time into text displayed on UQAM’s President Kennedy building. The installation also included a container structure used as a second projection surface, and several pieces of urban furniture, inviting passersby to sit down and listen to the speakers. Every evening, slots up to 60 minutes long could be reserved by any local community member or group who wanted to speak about a Montreal-related topic. Speeches were followed by on-site discussions with the audience. These projects are produced in an artistic context at the intersection of architecture and media art. They experiment with spatial interaction and the perception of space, and are mostly non-permanent movable installations. Created as a site-specific art piece for Dutch District Water Board Rijn & Ijssel, Museumplein, Waterlicht is a digital landscape that demonstrates the power and poetry of water. Installed in Amsterdam in 2015, a projected illumination simulates the rising sea levels that may be reached as a result of global warming. A combination of LEDs and lasers create the sensation of being underwater. The layer of light is ever-changing, influenced by wind and rain. Creator Studio Roosegaarde is known for projects that merge technology and art in urban environments. Some are purely ornamental, while others are designed to raise awareness about a topic or make a statement. French artist Antonin Fourneau created this interactive wall composed of thousands of LEDs that are illuminated upon contact with water. Participants can use paintbrushes, sponges, or fingers dipped in water to draw in light. When water touches the edge of one of the LEDs, it creates an electrical bridge, completing a circuit that provides power to the LEDs below the surface. The wetter the LED, the brighter it shines. As the LEDs dry, patterns and images fade to black. Similar to Megaphone, content on this media façade is generated by the public. The piece has been installed in numerous cities throughout the world, including Poitiers, France, Auckland, New Zealand, and Jerusalem. Media Architecture is an emerging field dynamically evolving with much potential- in form, in technology and in how it stimulates the environment and people. We look forward to the future of this discipline. Robots have long been a subject of fascination for human beings. Since the industrial revolution and the invention of the first computer, people have pondered the idea of creating a humanoid machine that would assist us in the burden of labor. Robots feature in movies throughout the 20th century as crucial players in future societies. This fascination has remained relatively separate from architecture since robots first appeared in popular culture in the 1950’s. In the 1960's, neofuturistic architecture group, Archigram, used robotic imagery in pop collages to explore colorful and playful futures, but the technology remained too nascent to make the leap into the built environment. Knightscope K5 is robot that has recently appeared in San Francisco. Founded in 2013, Mountain View-based Knightscope markets its robots as crime deterrent devices. According to San Francisco Police Department's CrimeMapping tool, police received reports of over 134 alleged crimes within a quarter mile of the intersection of 8th and Harrison Streets during the month of July this year. That included 27 cases of assault, 16 vehicle break-ins, and 8 motor vehicle thefts in the vicinity. A gas station located at the 8th and Harrison intersection recently added a Knightscope K5 to their premises in an effort to reduce vandalism on their property. Among other things, the bot is designed to scan license plates (“get alerts when terminated employees, trespassers, or domestic abusers are found in your parking lot”), and each of its four-way cameras notifies passersby that they’re being recorded. The K5 weighs 400 pounds and stands over five feet tall, so theft of the unit itself is unlikely. At a monthly rental rate of $6,500 per month, the K5 is more affordable than hiring security personnel. The maximum speed of the bot is just three miles per hour, slightly slower than the average human walking speed, so it wouldn't be much good for chasing down offenders. It's intended purpose, rather, is to deter criminal acts through surveillance. For more rugged, multi-terrain applications, Knightscope is currently developing the K7. Airports, prisons, power utility substations, and solar and wind farms are some of the spaces that the K7 is envisaged to protect. On June 27, 2018, the world's first robot-made burger restaurant, Creator, opened its doors in San Francisco. 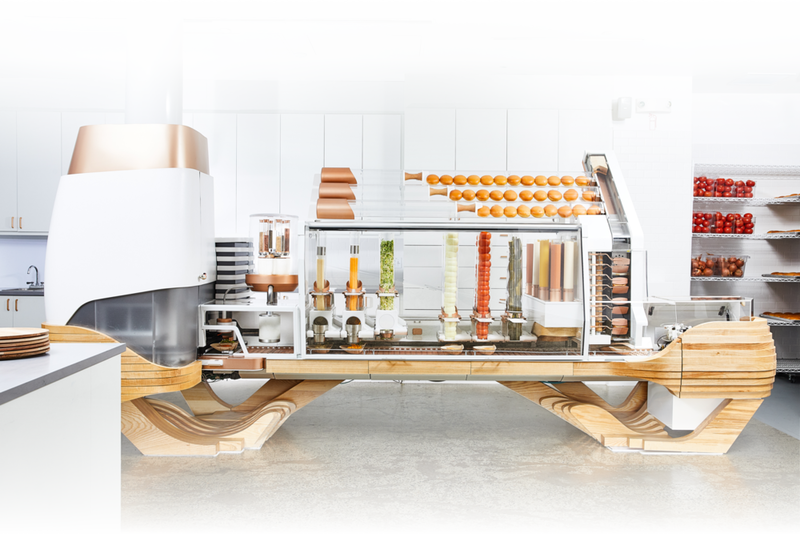 In five minutes, the machine accomplishes every part of the burger’s preparation, from slicing and toasting the brioche buns to grinding meat and searing the burger to order. It can make 120 burgers an hour, sold for $6 each. With fewer human laborers, Creator can afford to spend more on high quality ingredients while still delivering a burger at a remarkably low price point. Its initial launch featured menu creations by renowned chefs, including Bar Tartine's Nick Balla and Top Chef contestant Tu David Phu. Some tasks are better suited to be performed by robots than humans. Ingredients may be sliced by robots with 1 millimeter precision. Sensors can determine the ideal cook temperature of foods. The process is not entirely devoid of humans, however. At Creator, as many as nine human "robot attendants" may be working on the floor at a time. Researchers and students at the University of Stuttgart in Stuttgart, Germany used robot arms and drones to build a carbon fiber pavilion whose structure is based on the silk hammocks spun by moth larvae. The 39-foot structure is made from woven resin-impregnated glass and carbon fiber. The University's Institute for Computational Design (ICD) and Institute of Building Structures and Structural Design (ITKE) oversee an annual pavilion series that studies the capabilities of carbon fiber as a building material. Previous structures were restricted by the limitations of the robotic arms used, so the team opted to use drone technology to take advantage of the structural performance of continuous filaments. Two stationary robotic arms were used in conjunction with a drone to pass the fiber from one end of the structure to the other. The possibility of entirely digitally fabricated structures causes us to rethink the overall planning and design process and provides an opportunity to exploit the advantages inherent in the digital chain of design. Labor cost, material economy, time efficiency, design flexibility and quality control must all be reevaluated. Mabu, a small yellow tabletop home healthcare robot is one of several healthcare robots in use today. Created by San Francisco startup Catalia Health, Mabu was designed to help chronic disease patients stick to their continued care plan. Initially launched with a focus on heart disease, Mabu acts a companion that provides appointment and medication reminders and personal coaching through automated conversation. Faced with a looming shortage of nursing care workers and a swelling elderly population, the Japanese government has been funding development of elder care robots that help with lifting, moving, monitoring, entertainment and companionship. The National Institute of Population and Social Society has projected a shortfall of 380,000 elder care workers by 2025. In Tokyo's Shin-tomi nursing home, Pepper is one of 20 models used to care for its residents. Pepper is a humanoid robot from Softbank Robotics Corp designed to interpret emotions through cameras in microphones. It is used in stores to welcome shoppers and in elder care homes to lead games, exercise classes, and rudimentary conversation based on programmed dialogues. Paro is the name of a robotic seal (short for "personal robot") that acts as a therapy animal without the needs of a live animal. Using about 100 sensors, 10 CPUs and 8 monitors, Paro can respond to touch, speech and light by moving its head, blinking its eyes and playing recordings of Canadian harp seals. Introduced in 2004, Paro costs about 400,000 yen ($3,800) each. While allowing robots to help care for the elderly may seem like a jarring idea in the West, many Japanese view elder care robots positively. Popular media in Japan often depicts them as friendly and helpful. Still, some criticize the practice for replacing meaningful human connections. Robots have the potential to completely revolutionize the way we interact with the city, buildings, and healthcare environments. While certain industries seem ready to adapt to the robotic revolution, others approach automation with caution and skepticism. Whether or not the AEC industry embraces or rejects robots, architects will undoubtedly play an important role in how they are integrated into our future buildings and cities. Homelessness first grew to a level of national concern in the U.S. during the Great Depression. Unemployment raged and shanty towns sprung up across the country. In the 70's, federal failures to address poverty and the inability of state and local governments to supply affordable housing amidst the growing cost of living gave rise to another significant period of homelessness in our nation's history. Reduced federal and anti-poverty poverty programs, destruction of low income housing and single residency occupancy hotels (SROs), and deinstitutionalization of the mentally ill all contributed to a rise in homelessness. Many veterans are homeless due to conditions like PTSD, drug abuse, traumatic brain injury (TBI), depression, and anxiety. Often veterans return home and try to transition back to civilian life, but within three years become homeless. Former U.S. Army Medical Service Officer, Shad Meshad, who served in Vietnam in 1970, pioneered treatment techniques for what would later become known as Post-Traumatic Stress Disorder. As income disparity grows in the Bay Area, homeless encampments are growing larger. An estimated 4,000 homeless people live in San Jose and 7,400 in Santa Clara County. Approximately 500 are living in their vehicles. One solution from the City of San Jose is to provide safe parking lots where people can stay in their cars and get access to housing resources and long term services. 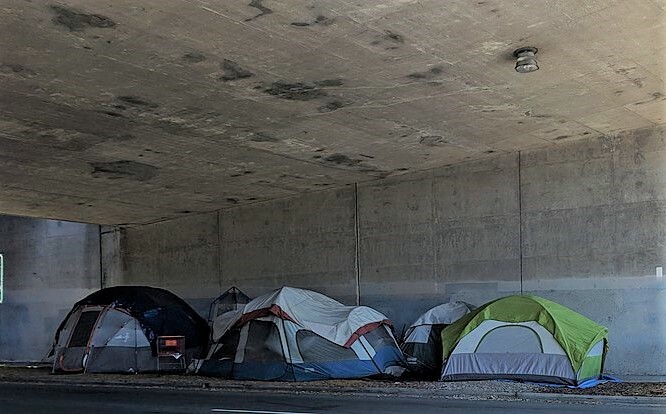 Unlike San Francisco, where tent encampments are easily spotted under freeway overpasses and on sidewalks, San Jose’s homeless often stay out of sight on the city’s 140 miles of trails, creeks, and riverbeds. "The Jungle" is a 65-acre area bordering Coyote Creek in San Jose and was once the largest homeless encampment in the U.S. The makeshift village was home to as many as 300 people. Direct discharge of human waste into streams was deemed unacceptable by the regional Water Quality Control Board. The surrounding community was concerned that the planned closing of the Jungle would disperse homeless people into neighborhoods. In early 2015, the city closed the Jungle and undertook a vegetation and wildlife restoration project, planting willows, maples and sycamores. Some have petitioned for legal camping areas for the homeless instead of evicting them from location to location. In March 2018, Cisco pledged $50 million to fight Silicon Valley Homelessness. San Jose Mayor Sam Liccardo commended Cisco CEO Chuck Robbins for his contribution. The homelessness crisis, Liccardo said, is the “moral imperative of our generation." "In Silicon Valley, we have all of the problem and all of the solution in the same 20-mile radius,” Loving said. “We have people who can solve homelessness, and companies that can help solve homelessness, along with thousands of people who slept outside last night." "Communities must help those without their own effective networks to knit together the pieces of a stable and purposeful life." Currently, many government and "not for profit" services are not directly linked, so an individual can go through the cycle of entering a hospital or treatment facility, receive treatment, then be discharged back to the street only to go though the same process again within months. "Supportive Housing" that provides access to health, mental health, employment and other services often costs less than having people drift between shelters, emergency rooms, and jails from one institution to another. Skid Row Housing Trust is a non-profit developer that serves LA’s homeless population. The Trust believes that the environment plays a vital role in residents’ recovery. Good design is treated as a basic civil right. They currently house 1,800 people per year. Skid Row Housing Trust aims to provide spaces that: 1) Promote positive social interaction; 2) Feel Safe; 3) Provide Dignity; and, 4) Help gain greater acceptance for the homeless community into the larger community. The Six is a 52-unit complex designed by Brooks + Scarpa that provides affordable housing to homeless veterans. Completed in 2017, the Six features a green roof, a bicycle storage and workshop area, a public patio, and an edible garden. The building's public courtyard is lifted above the street by one level, which provides a pedestrian-oriented street edge and visual connection/physical separation for tenants. Providing incentives for homeowners to build Accessory Dwelling Units (ADUs) is one solution that may help alleviate the housing shortage. In 2017, L.A. County launched a pilot program to help house the homeless. They offered residents up to $75,000 to build an ADU on their property for a homeless family or individual. The County will streamline the permitting process for those who participate in the program. While rent and utility cost will be up to the homeowner and tenants. For this solution to work, homeowners would need to develop a willingness to share their space with others – essentially opening up their homes to strangers. In a society where we are so used to having our own private spaces, this is an obstacle that may be difficult to overcome. At the same time as boasting the highest unprecedented prosperity of any metropolitan area in the country, San Francisco is also home to about 6,700 homeless people. 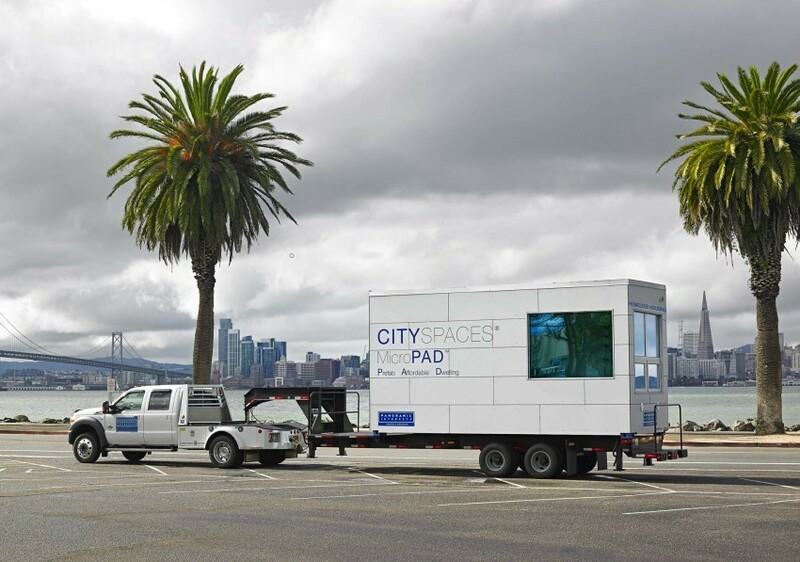 Local developer Panoramic Interests introduced the MicroPAD for CITYSPACES supportive housing project to address San Francisco's homelessness crisis. The modular 160 square-foot units include a private bathroom and kitchenette, cost about half as much as a conventional housing unit, and can be fabricated in just four weeks. While neighboring cities Berkeley and Oakland approved initiatives in early 2017 to develop compact modular units to help house their homeless residents, the city of San Francisco has yet to move forward with any such plans. Meanwhile, Panoramic Interests is looking for private sites to construct a MicroPAD development in San Francisco, with the aim of leasing the entire site to the City after installation. Fong & Chan Architects was commissioned by the County of Santa Clara to design the Sobering Center, located at 151 W. Mission Street in San Jose, California. The project involves the renovation of approximately 3,800 square feet within the existing Re-entry Resource Center Building in order to establish a permanent Sobering Center. The Sobering Center’s purpose is to provide specialized healthcare services for individuals with chronic alcoholism that are in need of stabilization services. As an alternative to sending intoxicated individuals to jail, they can be brought to the Sobering Center to sober up and receive care. The program includes private staff offices, single occupancy unisex toilet and shower facilities, laundry and pantry areas, and a sobering station. Within the sobering station, there are two distinct zones: one zone for men which contains fifteen recliner chairs, and another smaller zone for women which contains five recliner chairs. The two zones are separated by a central nurse station which allows both zones to be visually monitored from the nurse station while maintaining visual privacy between the two zones. Nearly halfway through 2018, FCA reflects on the top design trends of this year. We look at new possibilities in lighting as LED technology moves forward. We consider creative ways to incorporate elements of nature in design. We discuss the color of the year, the use of residential finishes in commercial design, and the pop-ups that seem to be popping up everywhere. Circadian lighting is dynamic lighting designed to mimic the changes in natural lighting during the cycle of the day. From morning to night, the color temperature of daylight changes. Incandescent lamps produce warmer light (around 2700 K), while “cool white” fluorescent lamps produce cooler light (around 5000 K). The color temperature of daylight starts out low and shoots up as midday approaches. At the peak of the day, color temperature outside may be around 6000 K. As the sun begins to set, color temperature falls and light becomes warmer. Light turns from blue-white to the orange-y hues of dusk. Our bodies go through natural processes tied to the 24-hour clock that may be impacted by our exposure (or lack of exposure) to light. Electric lighting based on the circadian rhythm has been shown to increase productivity in work environments and improve patient outcomes in healthcare settings. Nurses and doctors may be more comfortable and may perform better, benefiting patients. In assisted care facilities, where a majority of residents often have trouble sleeping, circadian lighting may improve residents’ quality of sleep. Other benefits include increased alertness in the morning, improved concentration and mood, reduced hyperactivity, reduction in errors and accidents, and faster cognitive processing. Today, manufacturers are offering a variety of tunable white lights – lights that can be adjusted within a range from warm white to cool white. Lights may be controlled by a user or with a control based on an astronomical time clock, so that lights automatically adjust based on location and time of year. Incorporating nature in design has been trending for many years. Biophilic design, however, acknowledges the many ways we can achieve this in different aspects of design. The most basic method of incorporating nature: provide a view to elements of nature and natural processes. This could be achieved through a water fountain producing sounds of trickling water, weather (wind, rain, hail) that can be heard, operable windows that allow natural ventilation during good weather. A nature analogue is highly textured fabric that mimics natural materials. This refers to sporadic connections with nature that occur at unpredictable intervals. Cloud movement, billowy fabric that moves with wind, and shadows or dappled light that change over time are all examples of non-rhythmic sensory stimuli. Biomorphic forms and patterns are contours, patterns, or numerical arrangements that persist in nature. The Golden Angle is the angle between florets in some flowers. The Fibonacci series is a numeric sequence found in many living things, like the spacing of leaves on some plants. Natural elements that are minimally processed, like wood grains, leather, and stone stimulate visual and sometimes tactile senses. This refers to rich designs or patterns with a spatial hierarchy similar to those found in nature. Humans have exhibited positive physiological responses to fractal geometries in found nature. Nested fractal designs expressed as a third iteration of the base design are more visually pleasing. Spaces with a good sense of prospect have long unimpeded views that permit surveillance over a distance. Good prospect may instill a sense of safety and control in individuals. This may be achieved through elevated planes, balconies, and catwalks. The risk/peril component is when an identifiable threat is paired with a reliable safeguard to produce an exhilarating feeling. Although this category may seem contradictory to the objective of safety in the last pattern, it’s important to note that no real danger exists. Some examples of this effect are infinity edges, cantilevers, and glass bridges or walkways. Refuge is a protected space for withdrawal from the main areas of activity. Cubicles and high-backed chairs are examples of this type of biophilic design. Design that includes mystery offers the promise of more information to entice individuals to further explore the space. Partially obscured views, curving edges that slowly reveal, translucent materials, and dramatic shade and shadows are all methods of achieving mystery. Pantone has announced the color of the year: Ultra Violet 18-3838. A bold and saturated hue, we expect to find tones of this color in accents, artwork, and furniture. Once reserved as a color for royals because of the difficulty in achieving intense purple pigmentation, purple still carries a connotation of richness. Purple also falls between the warm and cool colors – it can be either. This trend has been on the rise for a few years and continues to gain popularity. We’re now seeing residential finishes in all types of commercial spaces- even hospitals and health care facilities which used to define the “institutional” look. The goal is to provide a more comfortable environment, reduce stress, and promote productivity. It is now the industry standard to provide informal areas for relaxation and collaboration. These flexible spaces are meant to accommodate varying activities and encourage interaction between individuals. Pop ups are temporary spaces where retailers sell products, food, or experiences. There are pop up restaurants, pop up clothing stores, pop up yoga classes, even pop up museums. In the Bay Area economy, retail space is often too expensive for small businesses to maintain month after month. Enter sharing culture. Like ride sharing, clothing rentals, and AirBnB, shared retail space is the solution for many businesses. Pop ups offer an element of exclusivity – they are temporary, underground, for those in the know. Pop ups are selling an experience. The pop up format also encourages shoppers to buy now, because tomorrow the pop up may be gone. Pop ups are a great way to market seasonal products or test the waters with a new product or restaurant. How will pop-ups affect architecture moving forward? A successful pop up needs only to shine brightly for a moment, then fade away. Yet, it seems the format of pop ups is here to stay. Lobbies and plazas may be designed with a more flexible layout to permit installations like pop ups. We may see fewer singular purpose built-in components that dictate how a space is used. Pop ups seek interaction from the public, so spaces may be designed to attract attention. Temporary installations offer a chance for architects and designers to make bold and daring decisions because who knows – it may be gone tomorrow. With the start of 2017, we put together a selection of the top 5 commercial design trends we are looking forward to in 2017. At the beginning of each year, every industry claims to have a new theme or trend that defines their year. Some argue against following trends because of their cyclical nature, but in my opinion, it is imperative for design industries to stay current and constantly pushing the boundaries of conventional thought to remain relevant. Trends bring new challenges and new concepts to inform our designs. Discovering opportunities for innovation takes imagination and insight. One of our health care projects for University of Southern California Endoscopy Suite Build Out speaks to how we as a firm have incorporated modern trends into our own work. We did this by incorporating contemporary yet classic finishes to enhance the experience of the people who it serves. According to Pantone, Green is the color of the year for 20017. Not just any green, but green as in Pantone's shade "Greenery" (15-0343). Open plan workspace layouts may not work for every person, every company type, or every office, but right now it is very trendy. It's the natural, cozy feeling that a lot of these finishes and details have that will continue to make this trend a popular one throughout 2017. Based on FCA's research, shapes and patterns are back in a big way; popping up everywhere from fashion to home décor. Geometric patterns are a great way to grab a lot of attention when used appropriately. Nature has a positive impact on your mind and health. When nature is incorporated within working environments it can reduce worker stress. The mix of natural materials such as cork, reclaimed wood, and a living wall can be great elements to add. LED (light-emitting diodes) lights, as you know, are ecologically friendly lights. They are up to 80% more efficient than traditional lighting, such as fluorescent and incandescent lights, and are easily adaptable to many environments. This will be a huge way to promote productivity and reduce expenses in commercial spaces and also improve the light quality in the area. We are always looking ahead. For 2017's Sustainability Forecast, we challenged ourselves to take a look at current trends and how these concepts could shape our future. Design as an ongoing synergy between human experience and the environment is the basis for this Sustainability Forecast. For 2017, we considered how people will live, work, and play in the future of our cities and what codes and regulations set the boundaries or precedence for innovation. These insights will give our clients an insider understanding of the sustainable design issues that we as a community will face in the next decade. Discovering opportunities for innovation takes imagination and insight. Our newly opened Zuckerberg San Francisco General Hospital speaks to how we as a firm have made sustainability one of the preceding features within our buildings. We did this by implementing sustainable strategies into our design not only to improve the building's operational efficiency, but also to enhance the experience of the people in which it serves. Throughout our extensive research, we identified 5 trends that will transform the way we work, live, and play as well as how sustainable design will shape how we interact with our environment in the cities of 2017 and beyond. The first of which is the significance placed on Leadership in Energy & Environmental Design (LEED) green building certification program throughout the global market. LEED has become ubiquitous throughout the world. 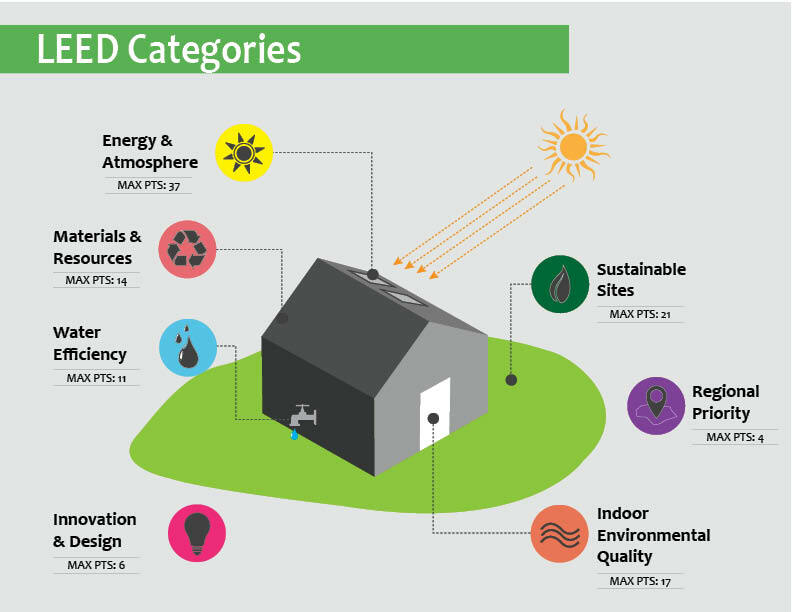 According to an infographic by Inhabitat, the U.S. Green Building Council (USGBC) is "LEEDing" the way for the sustainable design industry throughout the world (pun intended). They go on to state that, "LEED certified buildings exist in more than 150 countries and territories and 6 continents," and as of March 2015 it includes: 68,000 commercial projects, 71,400 certified LEED for Homes residential units, 1,400 certified K-12 projects, 3,050 certified higher education projects, 620 certified state government projects, and more than 1.930 certified local government projects. 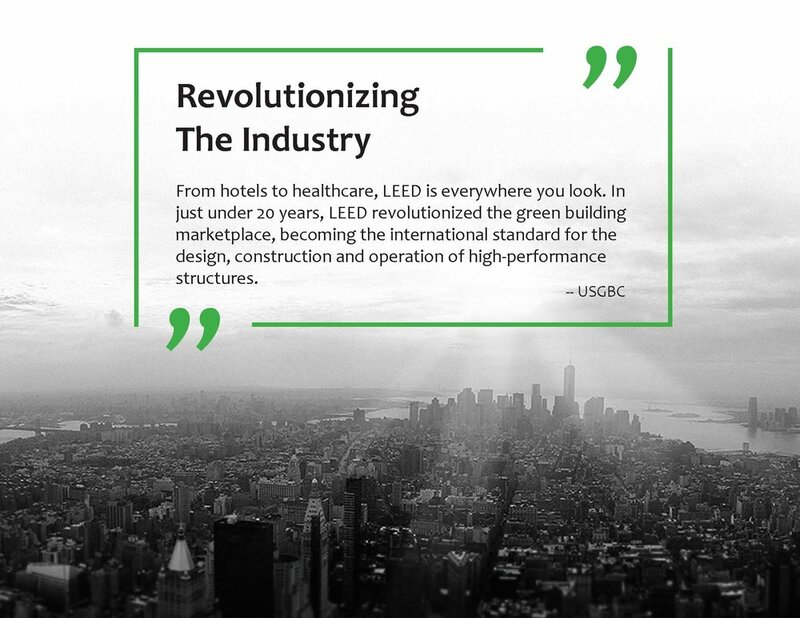 Throughout the years, LEED has continued to evolve: both by adding additional requirements and by attempting to become more inclusive in their strategies (particularly for healthcare and commercial kitchens). We all are aware of the LEED Categories and the changes implemented in version 3.0, including the addition of the category Regional Priority and the addition of LEED speciality in healthcare. However, let's discuss the 5 most important changes made in version 4.0, which mostly affects the Energy & Atmosphere and Water Efficiency categories. However, one of the most controversial changes has been the differentiation between LEED AP vs LEED AP with Specialty. So what does this mean? It means that many people who have LEED AP's cannot qualify for the additional Innovation and Design credit that they used to, and they will only be considered as a LEED Green Associate. Let's now take a look at the impact of sustainability at a regional level, in particular California, which was recently named the most energy efficient state in 2016 within the United States by the American Council for Energy-Efficient Economy's (ACCEE) annual State Energy Efficiency Scorecard. In November, California voted and passed Propositions 51 and 52 to fund a $9 billion school bond and a new hospital fund. So what sustainability measures will affect these two institutions? The following will discuss projects within 2016 that we believe best exemplify these trends and whose strategies may change the way our buildings will function and interact with its users forever. While the term "energy efficient" has been a buzzword within the industry for years, the U.S. has made rapid strides toward more sustainable and energy efficient usage within recent years. Two buildings in particular, that we chose to highlight, made it to the top 5 of the AIA's 10 Most Sustainable Projects of 2016.
at Phipps Conservatory and Botanical Garden in Pittsburgh, Pennsylvania by The Design Alliance won second place. The increase of new green certifications signifies that the financial and environmental benefits of sustainable design are becoming ubiquitous within our society, so much so, that it's becoming a standard around the world. We don't foresee this slowing down and architectural firms will have to continue to find innovative strategies to meet these new requirements. Who knows, maybe one day all buildings will be zero-net energy and treat all its water on-site? 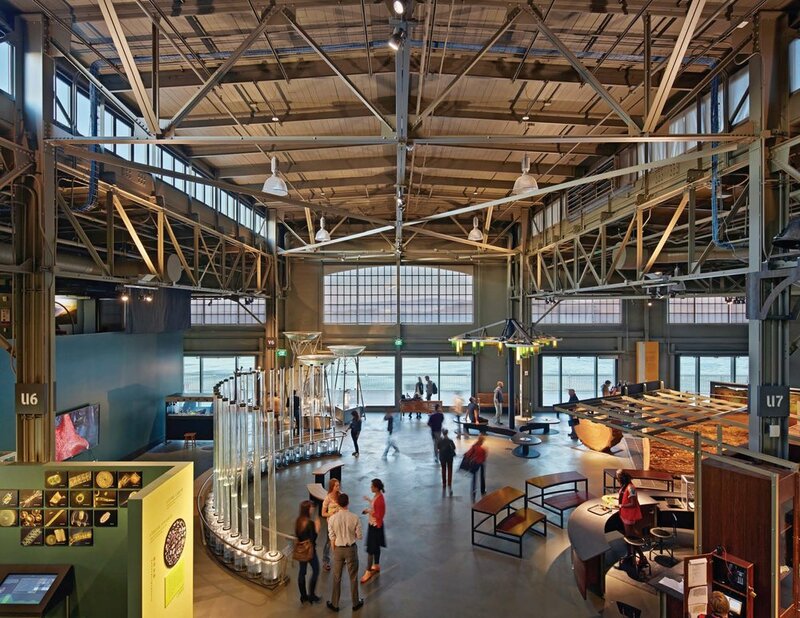 at Pier 15 in San Francisco, California by EHDD won third place.